Excellent for the treatment of wide areas, such as thighs, buttocks and abdomen. 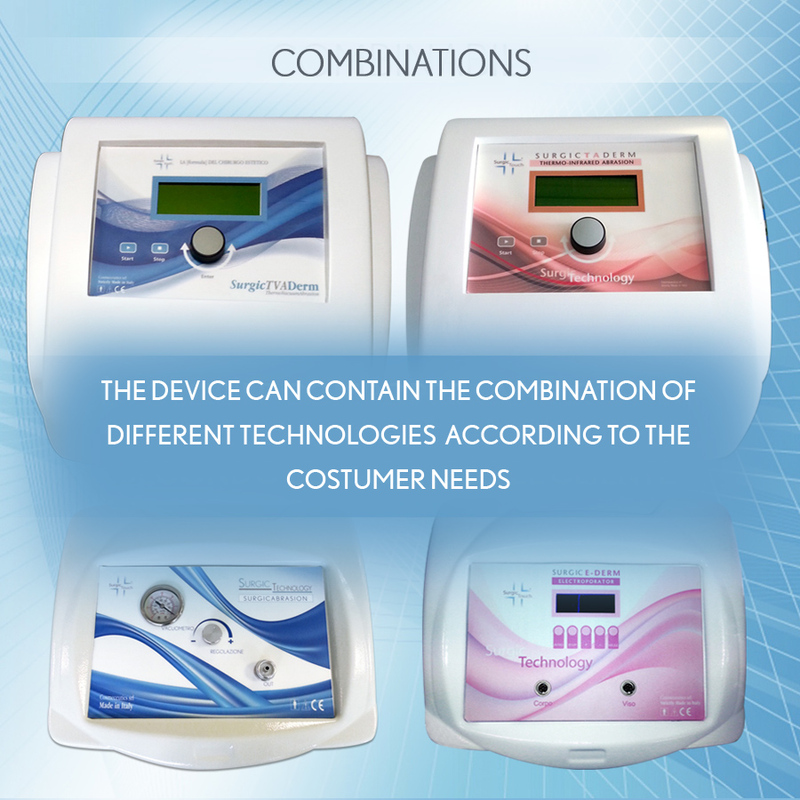 Combined system, integrating in a unique and innovative device the following functions: Thermo Infrared, Endolipodermic and Dermo Abrasion. 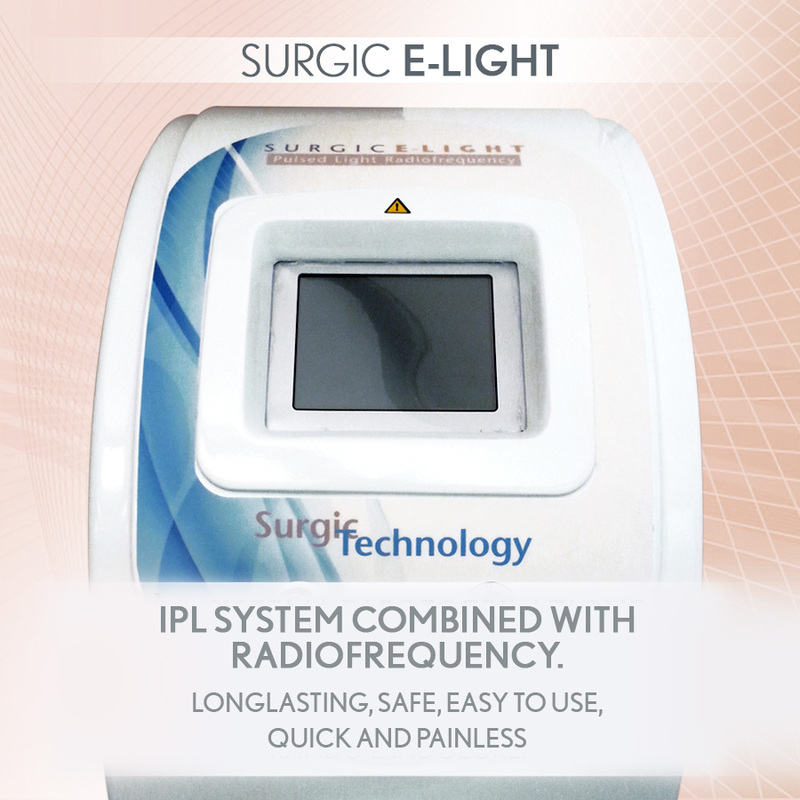 Il stimulates the dermis to produce new collagen and elastin and to give compactness to the tissues, lacking it. 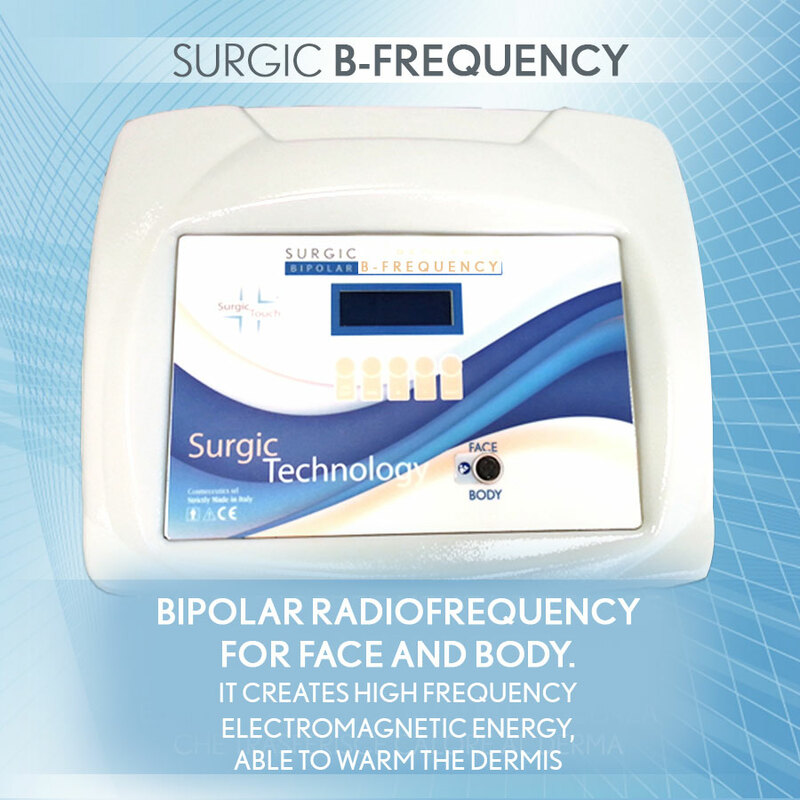 This system exploits the combination between the thermic effect of Thermo Infrared, stimulating dermis compactness and increasing fat cell metabolism, and endodermic massage. 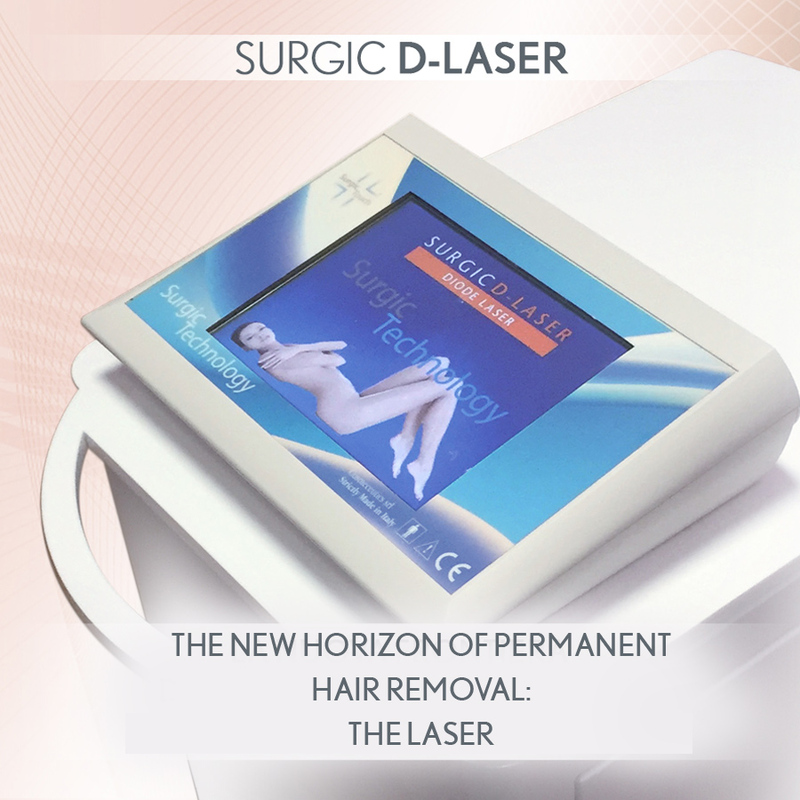 The synergy between the two technologies lead to the excellent shaping of body silhouette. 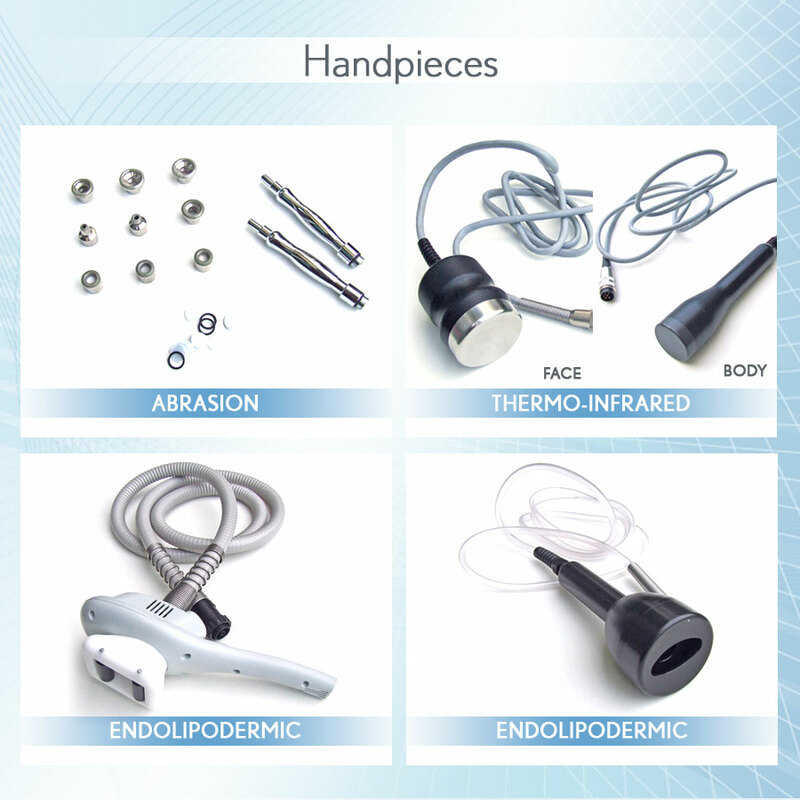 The original “Endolipodermic” handpiece, gently grabs the skin, thanks to its vacuum effect, meanwhile the rolls deeply massage the skin, treating many tissues and its imperfections: cellulitis, fat, edemas, laxity. 1. Slow pulse: long frequency aspiration. 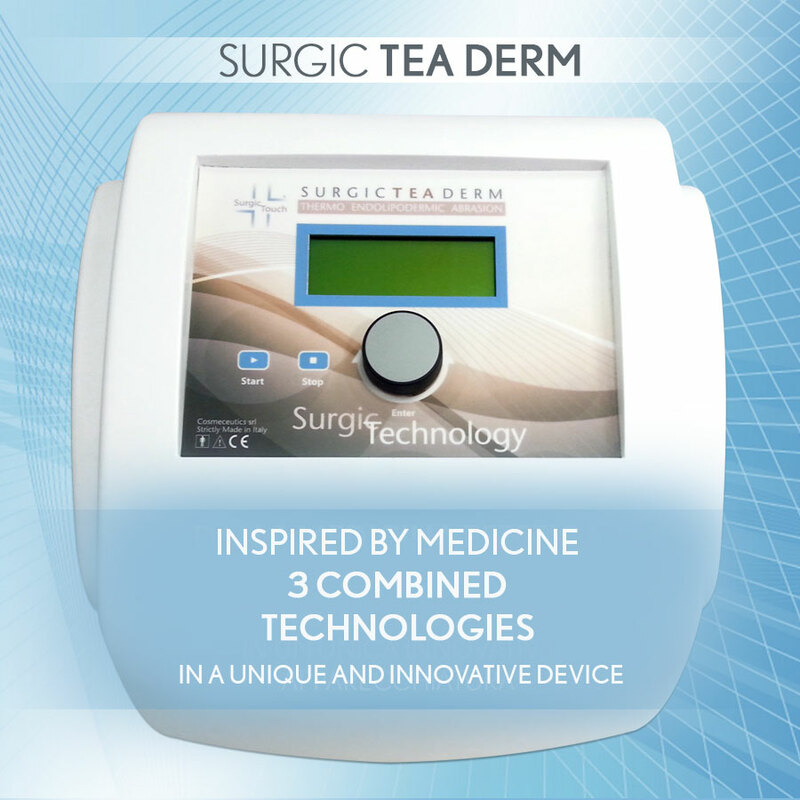 Ideal for skin types suffering of capillary fragility with highly concentrated localized fat. 2. 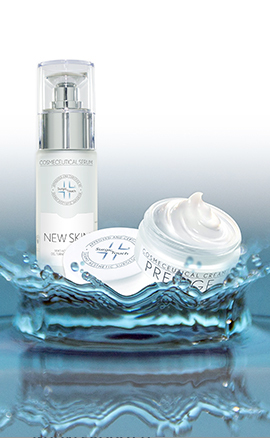 Quick pulse: for sensitive and hypotonic skin types. 3. Continuous pulse: continuous aspiration with immediately visible reshaping effect.